The films of Canadian-Armenian director Atom Egoyan immerse the viewer in a world of lush sensuality, melancholia, and brooding obsession. From his earliest films Next of Kin and Family Viewing, to his coruscating Exotica and recent projects such as Where the Truth Lies, Egoyan has paid infinite attention to narrative intricacy and psychological complexity. Traumatic loss and its management through ritual return as themes in his films, in particular in relation to his own Armenian heritage. In this study, Emma Wilson closely analyzes the range of Egoyan's films and their visual textures, emotional control, and perverse beauty. 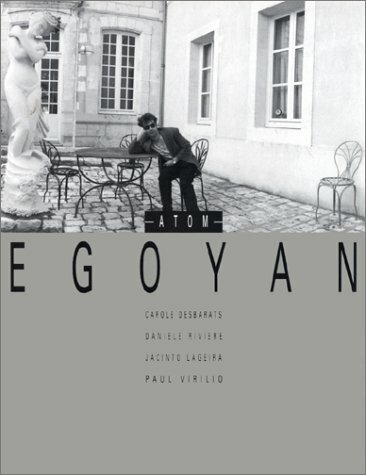 Egoyan's own comments on his films thread throughout Wilson's analyses, and the book features a recent interview with the director. 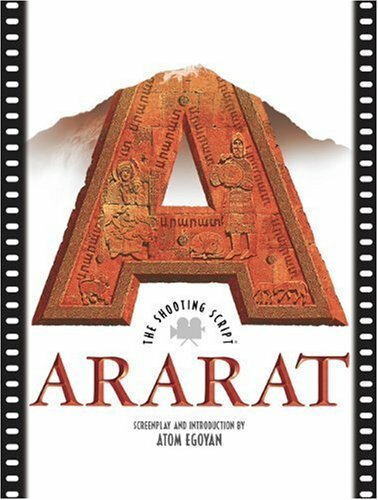 Films such as The Adjuster, Calendar and Speaking Parts established Canadian Armenian director Atom Egoyan as leading contender for being the worlds most alluringly postmodern filmmaker. In these and other films the distortions and perversions of the self are mirrored through an omnipresent (and sexualised) visual media culture. Through the filter of a compassionate detachment his work is an unparalleled probing of identity and alienation, sexuality and dysfunction, psychologyand subjectivity. Speaking Parts begins, as do all of Egoyan's films, in the middle of a complex web of relationships, and part of the joy of the movie is to figure out what those relationships are as they are revealed to us in a very natural way.Lance is a hotel housekeeper/gigolo/aspiring actor and Lisa is another housekeeper who loves him.Since this love is unrequited, Lisa obsessively rents videos in which he appears, though he does not have a speaking part in any of them; at one point Lisa even defends this to another character when she asserts that "words aren't all that important".Clara is the screenwriter for a film that is being cast, and in her staying at the hotel, Lance sees seducing her as his way of taking advantage of a big break.Clara, in the meantime, is often seen viewing a memorial film of her brother at a mausoleum. As the film progresses, we learn that Clara's screenplay is autobiographical, thoughClara is losing control of the project at the same time she's mesmerized by Lance.Characters are often seen detached from others -- viewing rather than participating in life and watching people rather than interacting with them.Also, many of the characters look alike in an androgynous way, becoming more interchangeable and confusing the relationships we see. Egoyan is one of my favorite directors.Whenever I start a film of his that I haven't seen before, I settle in for a good long while.I watch it and then watch it with the director's commentary and then re-watch it.They are that rich and rewarding, and Speaking Parts is no exception. Extras include an excellent and rewarding director's commentary as well as stills and some interviews with Egoyan. This movie is a prime example of 80's egosim and the human need to see the way others view you.Lisa played by Khanjian,(I think she is also Atom's wife) is a hotel maid that craves the attention of Lance a co-worker. The bulk of the movie is centered on Lance and Lisa and how they their need for attention ultimately throws them into a web of intrigue, delusions, sexual desire and ultimatley death.This is a movie that is best seen more than once, due to it's hidden meaning and dialogue.If possible I would highly recommend getting the DVD version, because there is commentary from Atom that is very helpful. F.Y.I. Micheal McManus also appears in the sci-fi show "Lexx," as the dead bun-headed assassin Kai and he also has a cameo in "Dog Park," as the waiter. "Speaking Parts" is far more than just the script for the movie. 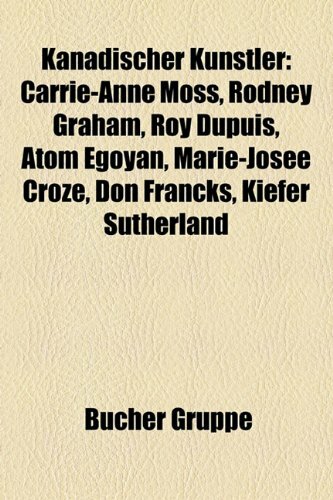 This softcover book also includes an introduction by Ron Burnett, an essay by Atom Egoyan, and an interview with Egoyan by Marc Glassman. These alllead the viewer to a deeper understanding of the complexity and artistry ofEgoyan's second major film. The book is also enhanced by black and whitestills as well as pages from the original script showing hand writtensketches and dialogue changes. Also included is a filmography of Egoyan'sfilms through 1993. If you've been carried away by the film as I have, youmust find a copy of this book! Four-time winner at the Cannes Film Festival, Canadian filmmaker Atom Egoyan (b. 1960) began his career while still an undergraduate at the University of Toronto. His first love was playwriting, but he began to see that he could investigate themes emotionally through film- that the camera could play a role. He learned his craft in his own independent films and by directing television episodes before attempting his first feature film, Next of Kin (1984). There he explored the themes of family and identity that continue to interest him today. A frequent winner at film festivals, Egoyan broke through to a general audience with his film Exotica (1994). Since then such films as The Sweet Hereafter (1997) and Felicia's Journey (1999) have gained him wide acclaim. 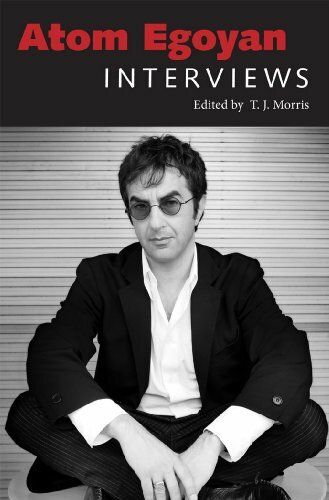 These interviews, collected from the last two decades, reveal Egoyan's unique themes, and his individual, independent approach to filmmaking. He discusses his development as a director, his interest in opera and museum installations, and the expectations he has for his audience. He engages in open, forthright discussions of his work and those who have worked with him. "Every film is a foreign film," Atom Egoyan and Ian Balfour tell us in their introduction to Subtitles. How, then, to translate the experience of film—which, as Egoyan says, makes us "feel outside and inside at the same time"? 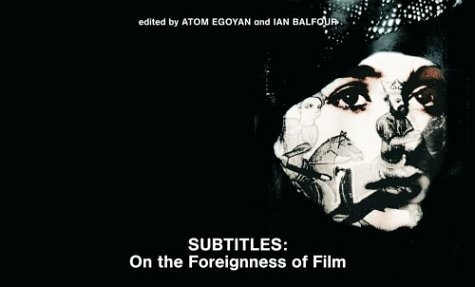 Taking subtitles as their point of departure, the thirty-two contributors to this unique collection consider translation, foreignness, and otherness in film culture. Their discussions range from the mechanics and aesthetics of subtitles themselves to the xenophobic reaction to translation to subtitles as a metaphor for the distance and intimacy of film. The essays, interviews, and visuals include a collaboration by Russell Banks and Atom Egoyan, which uses quotations from Banks's novel The Sweet Hereafter as subtitles for publicity stills from Egoyan's film of the book; three early film reviews by Jorge Luis Borges; an interview with filmmaker Claire Denis about a scene in her film Friday Night that should not have been subtitled; and Eric Cazdyn's reading of the running subtitles on CNN's post-9/11 newscasts as a representation of new global realities. Several writers deal with translating cultural experience for an international audience, including Frederic Jameson on Balkan cinema, John Mowitt on the history of the "foreign film" category in the Academy Awards, and Ruby Rich on the marketing of foreign films and their foreign languages—"Somehow, I'd like to think it's harder to kill people when you hear their voices," she writes. And Slavoj Zizek considers the "foreign gaze" (seen in films by Hitchcock, Lynch, and others), the misperception that sees too much. 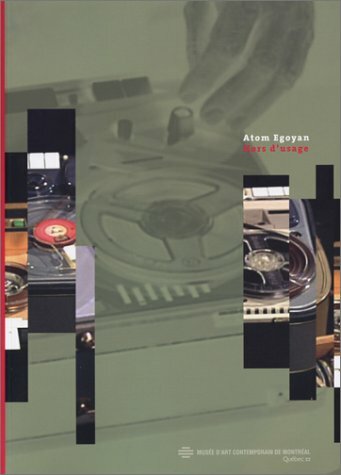 Designed by Egoyan and award-winning graphic designer Gilbert Li, the book includes many color images and ten visual projects by artists and filmmakers. The pages are horizontal, suggesting a movie screen; they use the cinematic horizontal aspect ratio of 1.66:1. Subtitles gives us not only a new way to think about film but also a singular design object. This is a book for fans of film--in particular, viewers that enjoy non-native language movies and have an interest in how they are subtitled.Many subtitlers may find this interesting, of course, but in fairness it's not written for professionals in the field.This is not a criticism.The book's strength is it accessibility for the casual reader. 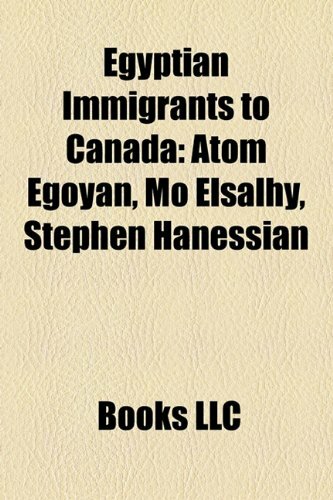 'We need to make sense of the foreign on our own terms,' authors Atom Egoyan and Ian Balfour write. 'Subtitles offer a way into worlds outside of ourselves. 'To that end, they collected essays and interviews from every area of the subtitling industry.Professional subtitler Henri Behar has an endearingly gruff and pragmatic moment, as does director Claire Denis in her discussion of the subtitles for Friday Night.Amresh Sinha's essay on how subtitles can make one's own language foreign is particularly insightful.Jorge Luis Borges' early film reviews alone, as translated by Calin-Andrei Mihailescu, are worth the price of the book. Much is made of the design, and rightly so, but the essays would be just as compelling in a standard trade paperback format.The publisher has done the material justice, however, by creating a book as fascinating to hold in one's hands as it is to read.It's not entirely convenient for most bookshelves, but that's a quibble compared to the binding, quality paper, and cinematic faux-widescreen design. There is something here for every film fan.Like all great anthologies, the book observes its theme without seeming to do so.The essays come at right angles to each other, but all oddly fit the primary goal of the text--to expose readers to this little-understood area of global cinema.In that regard, the book is a remarkable success. The hard cover is completely detached from the body of the book, and the transparent book cover (which is part of the design of the cover) is quite torn out -- this status was not mentioned in the description of the product (it only stated that the condition is VERY GOOD without further remarks), otherwise I would not purchase it.Very prompt delivery though. I have just seen an advance copy of this book, and it is gorgeous! The design, the sweeps of colour images, the construction: just an excellent object (Egoyan was the codesigner as well as coeditor, apparently). The collection is unique. Who but Egoyan would think to do a whole book riffing on the idea and the aesthetics of Subtitles? There's are something like 30 pieces, just an amazing range. Very accessible, even funny. It opens up a whole range of ideas, from the mechanical work of subtitling to the inside/outside experience watching a subtitled film provides, to the inter-national communication and circulation subtitling enables. I could never have imagined this book before Egoyan made it, but now with its publication he's opened up a whole set of ideas. A great book, even after seeing the movie 3 times. One of Canada's pre-eminent auteur filmmakers, Atom Egoyan has been celebrated internationally, earning multiple awards from the prestigious Cannes and Toronto Film Festivals and an Academy Award nomination. 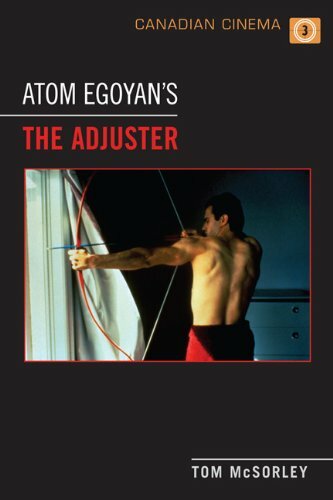 One of his most accomplished and controversial early works, The Adjuster, is a dark drama about the complex and intense relationship between an insurance adjuster and his clients. In this accessible analysis, Tom McSorley traces the genesis, production, and reception of Egoyan's fourth feature film, from its Cannes Film Festival premiere to its North American commercial release. 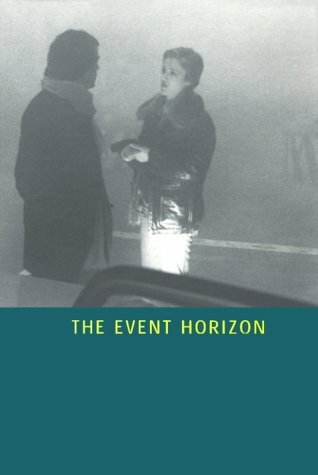 The book locates The Adjuster in the larger context of Canadian cinema history's peculiar and often troubled evolution, and offers a provocative interpretation of the film's unique analysis of the malaise of materialism in North American culture. 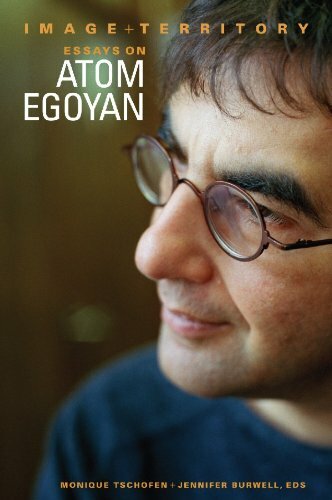 Richly illustrated and featuring new interview material with Egoyan himself, this study in the Canadian Cinema series offers an insightful review of one of Atom Egoyan's most searching, unsettling films. In a culture that often understands formal experimentation or theoretical argument to be antithetical to pleasure, Atom Egoyan has nevertheless consistently appealed to wide audiences around the world. If films like The Adjuster, Calendar, Exotica, and The Sweet Hereafter have ensured him international cult status as one of the most revered of all contemporary directors, Egoyan’s forays into installation art and opera have provided evidence of his versatility and confirmed his talents. 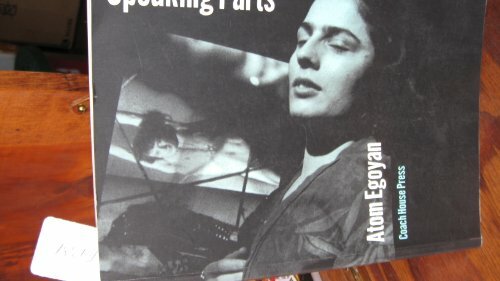 Image and Territory: Essays on Atom Egoyan is both scholarly and accessible. Indispensable for the scholar, student, and fan, this collection of new essays and interviews from leading film and media scholars unpacks the central arguments, tensions, and paradoxes of his work and traces their evolution.  It also locates his work within larger intellectual and artistic currents in order to consider how he takes up and answers critical debates in politics, philosophy, and aesthetics. Most importantly, it addresses how his work is both intellectually engaging and emotionally moving. This digital document is an article from Parachute: Contemporary Art Magazine, published by Parachute Contemporary Art on July 1, 2001. The length of the article is 5555 words. The page length shown above is based on a typical 300-word page. The article is delivered in HTML format and is available in your Amazon.com Digital Locker immediately after purchase. You can view it with any web browser. Title: Reloger le spectateur: une interview avec Atom Egoyan. 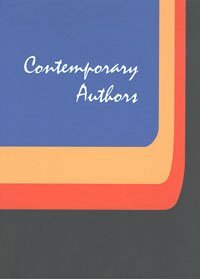 This digital document is an article from C: International Contemporary Art, published by C The Visual Arts Foundation on September 22, 2001. The length of the article is 546 words. The page length shown above is based on a typical 300-word page. The article is delivered in HTML format and is available in your Amazon.com Digital Locker immediately after purchase. You can view it with any web browser.